Connect the disconnected effectively and efficiently by integrating different applications, servers and systems into a single optimized platform. Modernize to meet new business demands and surpass the competition by moving workloads to the cloud all while decreasing costs and increasing productivity. Realize the full value of your IT infrastructure and investment while freeing up IT to focus on strategic projects. With our virtualization services— either public or private cloud— your business can improve IT agility, flexibility and scalability while creating significant cost savings. Whether it’s fixing computer errors, checking into potentially malicious emails, or provisioning computers for new employees, we can help you prevent any technical issues before they happen. Our goal is to help your business increase operational efficiency, reduce operating costs, gain cost-effective access to enterprise-level support and minimize downtime. We will also help you embrace emerging technologies and provide training to help you fill skill gaps. 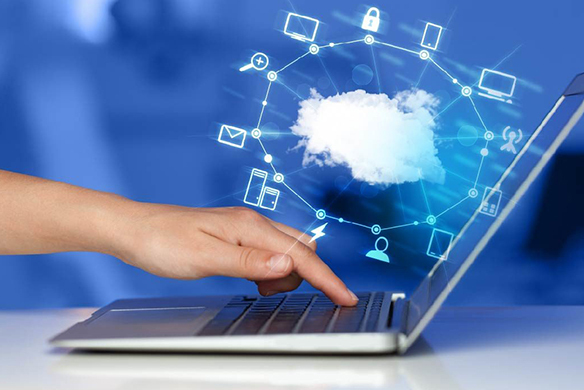 Simply put, public cloud computing is the delivery of computing services—servers, storage, databases, networking, software, analytics, intelligence and more—over the Internet to offer faster innovation, flexible resources, and economies of scale. Only pay for the cloud services you use, helping lower your operating costs, run your infrastructure more efficiently, and scale as your business needs change. Internet of Things (IoT) is the next big thing in automation, predictive maintenance and monitoring. We can help drive your digital transformation by gaining insights from your connected devices. Keep pace with security challenges. The enterprise security management landscape is ever-changing in a mobile-first, cloud-first world. Build technical solutions to anticipate threats and protect your company from them. Discover, classify, protect and monitor your sensitive data, wherever it lives or travels – across devices, apps, cloud services and on-premises. Holistic and innovative security—on-premises and in the cloud with the flexibility and control you need to increase security, lower costs, and improve productivity. Meet these challenges head-on with an identity-driven approach and the latest security technologies for users, devices, apps, and data. Safely enable productivity by giving access to the right information to the right people at the right time. Providing employees with modern tools and flexibility results in higher engagement and productivity. We’ll help you create an environment in which your employees can enjoy secure, highly reliable platforms for exchanging ideas, having conversations, collaborating, and doing their best work. We’ll also ensure you can securely manage iOS, Android, Windows, and macOS devices from a single, unified mobile solution. We are committed to building the solution that’s right for you while offering a predictable cost model from the start with no surprises. Contact us today for a free estimate.